Technology harnessed for design, to create a contemporary object that is both innovative and highly appealing. 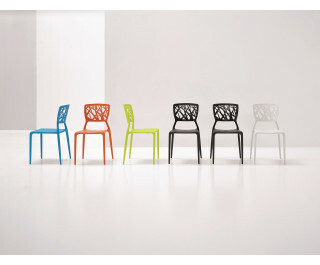 Viento is a polypropylene stackable chair available in various colours: white, anthracite grey, orange, yellow (lime) and light blue. Stable, comfortable and resistant to atmospheric agents, Viento is also suitable for outdoor and contract use.